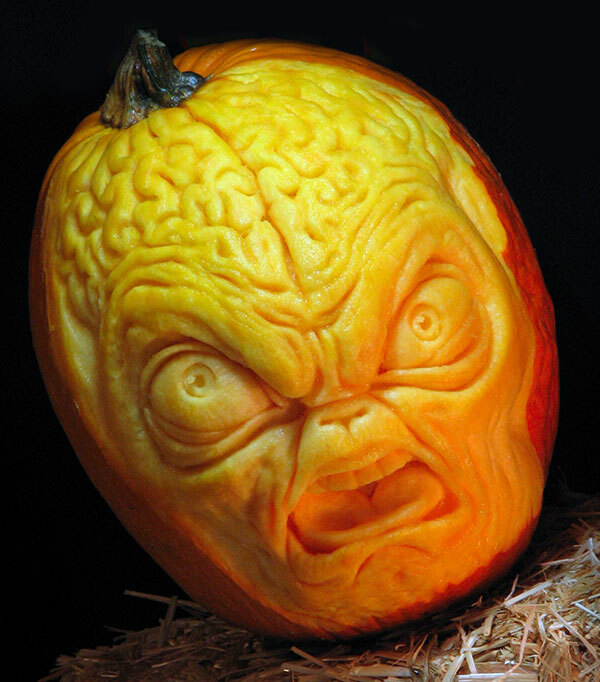 Halloween is yet again here with all its darkness, horror and fervor and we are desperately waiting to see weird and outrageous avatars of people, every year the euphoria is multiplied, obviously people grow by the time and realize what went wrong in the previous year hence they try to bring innovation and amusement even more into the Halloween stuff. 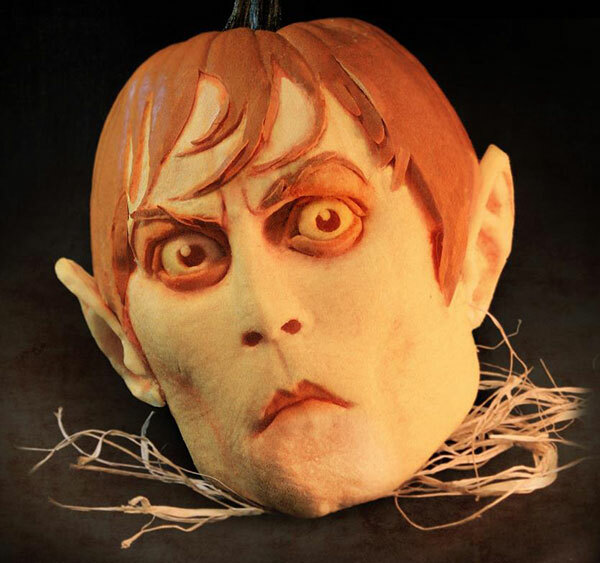 Halloween is always mysterious, it encompasses scary pumpkins, webs, spiders, black cats, ghosts, and witches on broom, vampires, zombies, corpses, graveyard and other spooky themes. 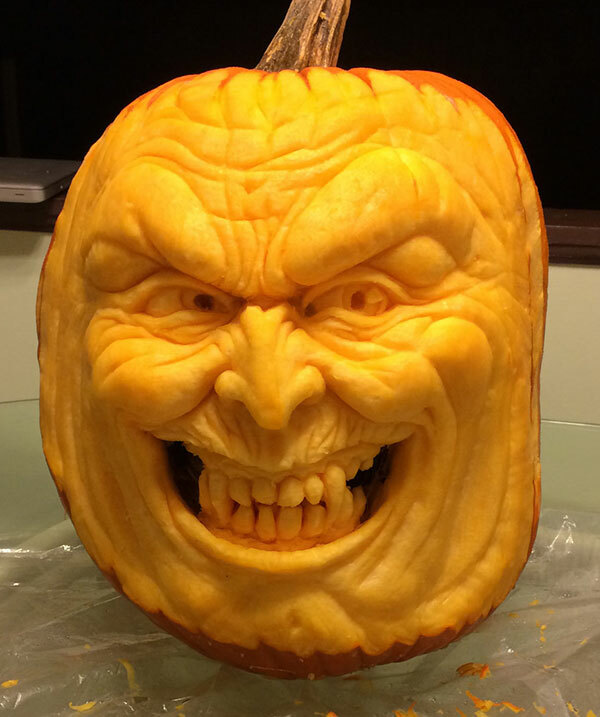 School, colleges and universities arrange particular Halloween parties with masquerades so to create a wonderful day where people play Trick/Treat and where large pumpkin meals are prepared to serve guests. 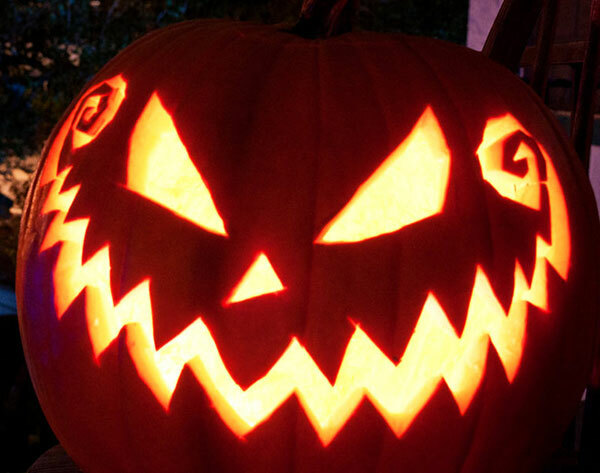 Halloween crawl is another contagious element where you see hundreds of people walking down the street, in the parks, public places and in every nook & corner of the road when they are all dressed up in gory costumes just trying to scare the pedestrians. 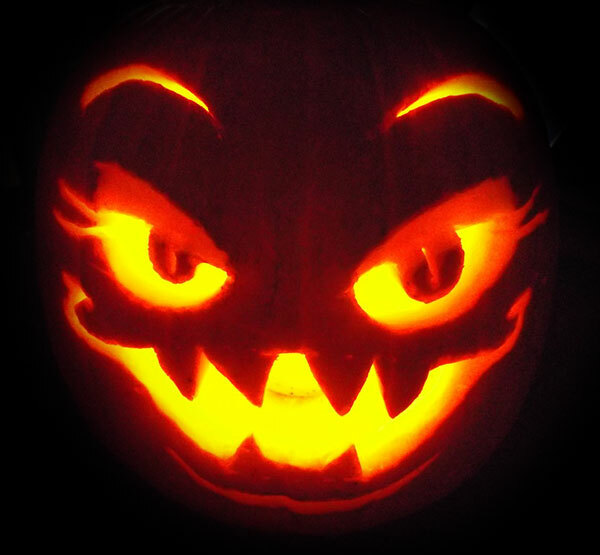 You know ambiance is a lot more important and it is not only avatars, makeups and accessories that play their part on Halloween. 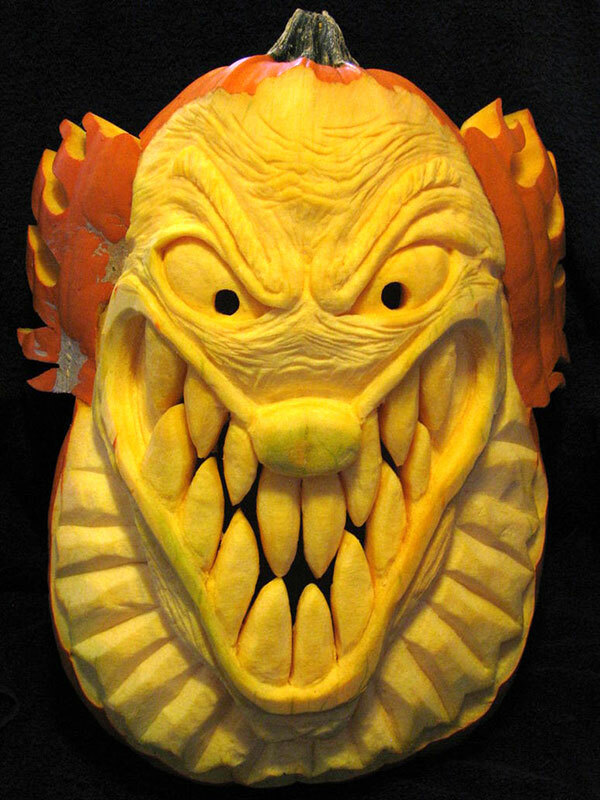 You have to bring a whole new concept & Halloween theme to the ambiance for the special terrifying effects. 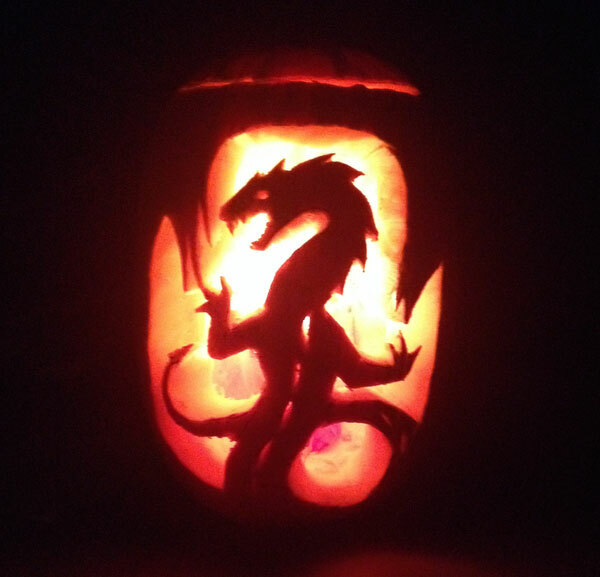 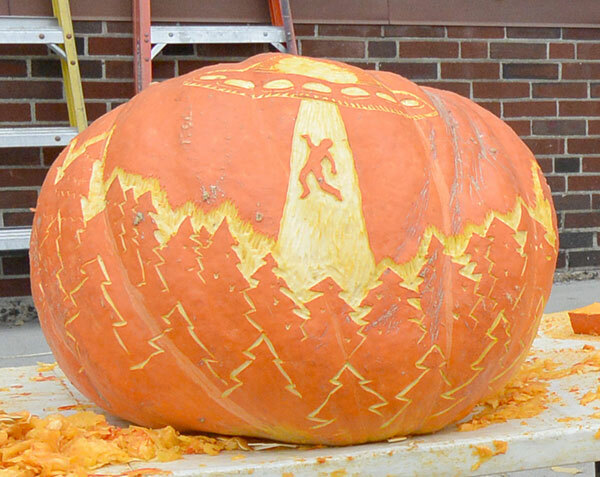 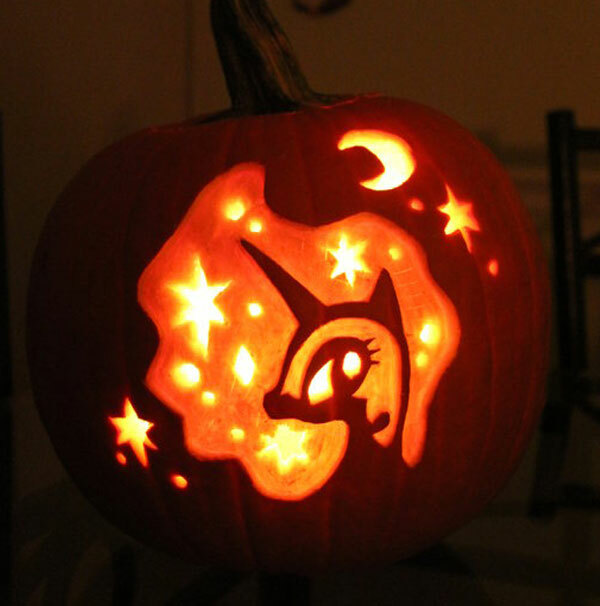 What are you planning for this Halloween? 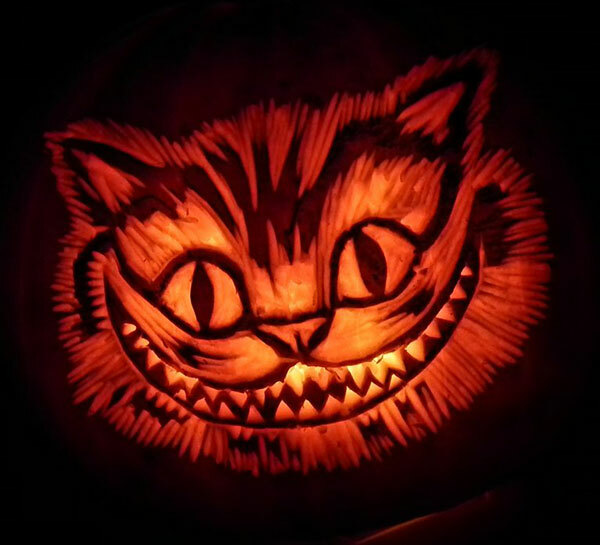 Well my best endeavors are done to put together Halloween posts to accommodate you so you remain all eyes about the latest trends. 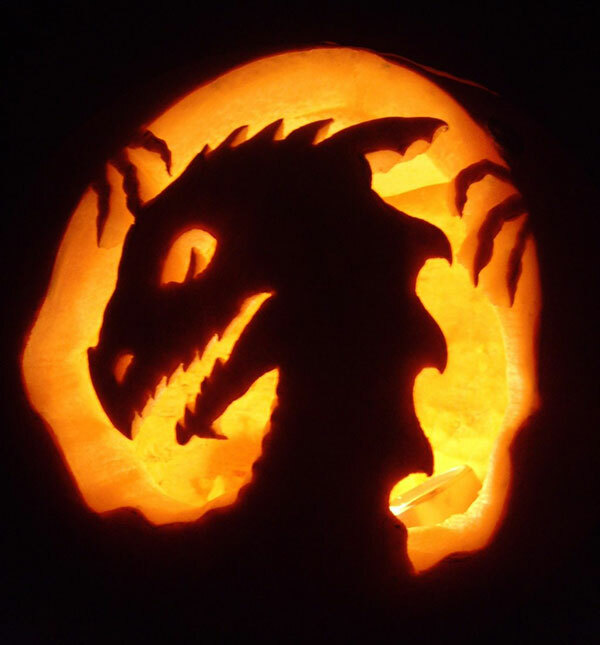 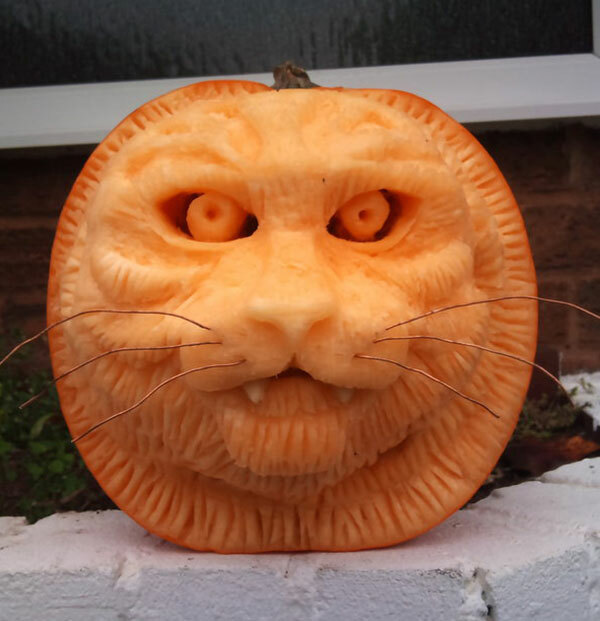 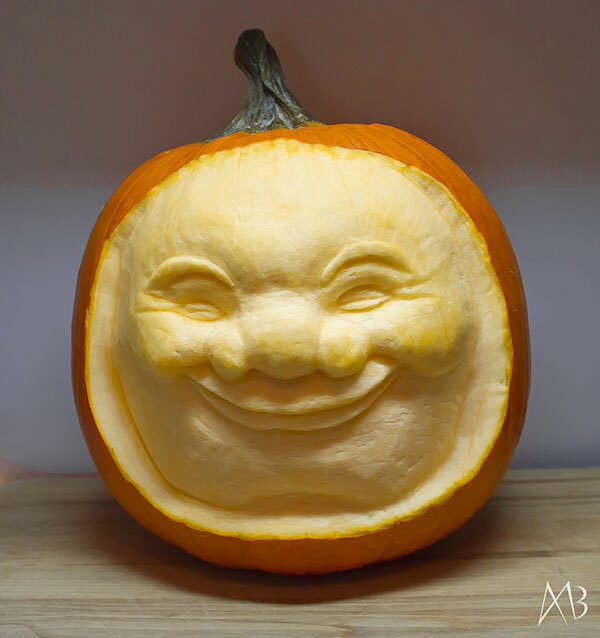 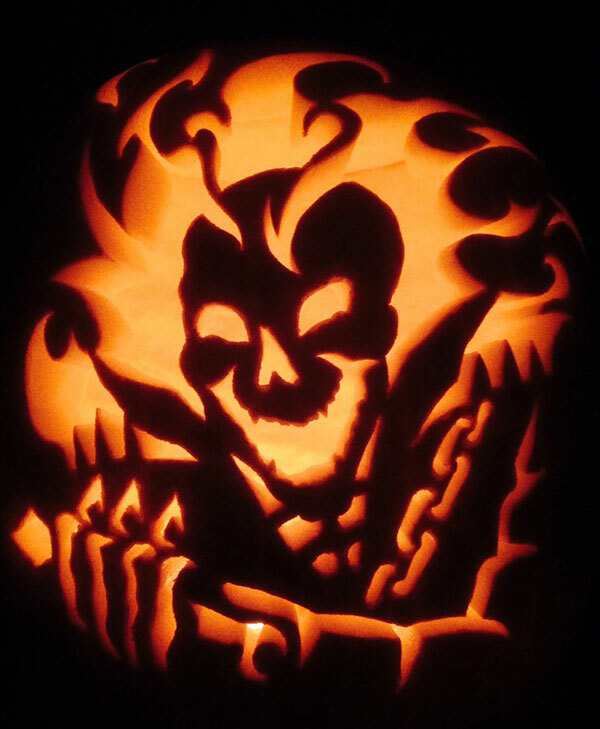 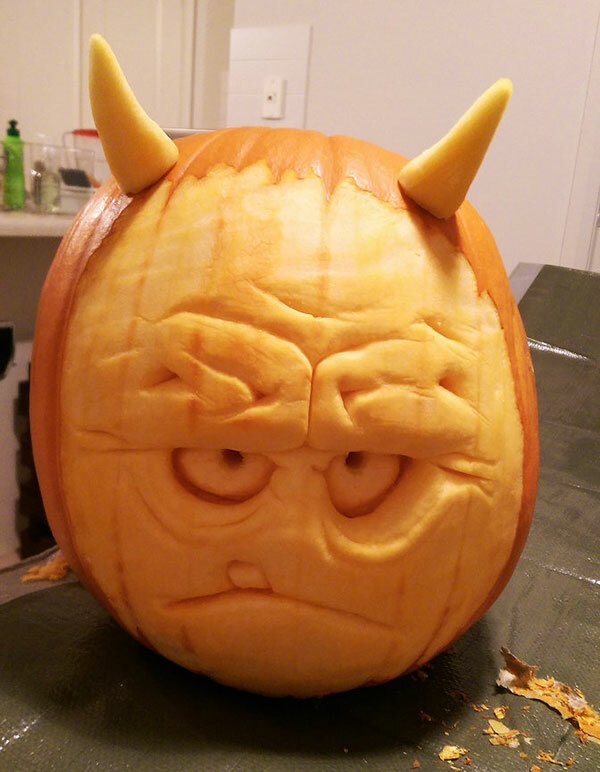 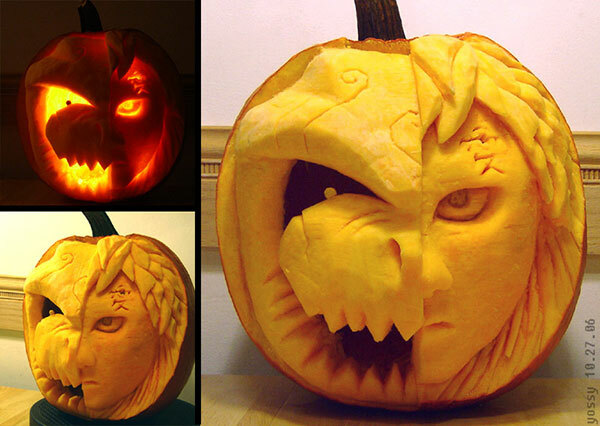 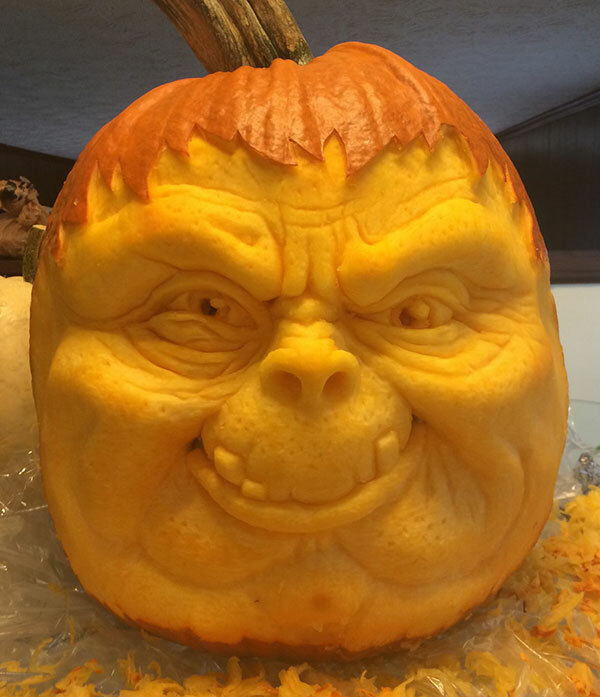 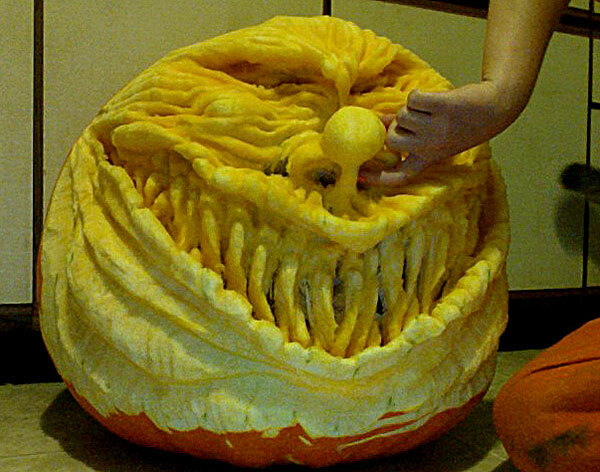 Today I am unfolding before you cool & scary Halloween pumpkin carving designs & ideas of 2015, I hope it gives you plenty of good ideas that what carvings can be availed from the market or what you can do on your own sitting at home. 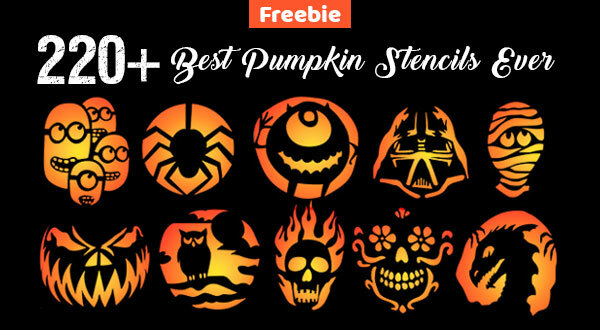 These ideas are pretty simple and you can create spookiness out of it for sure. 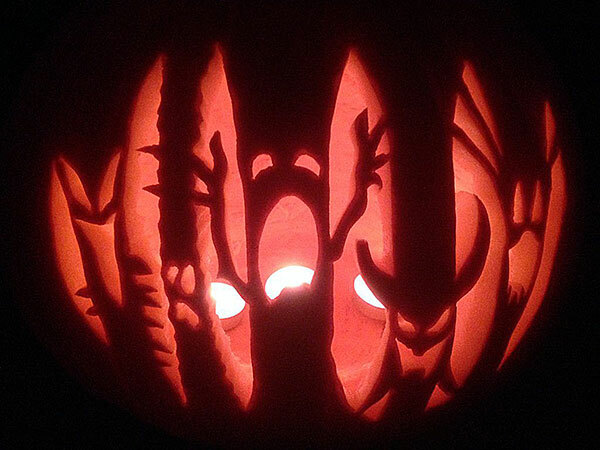 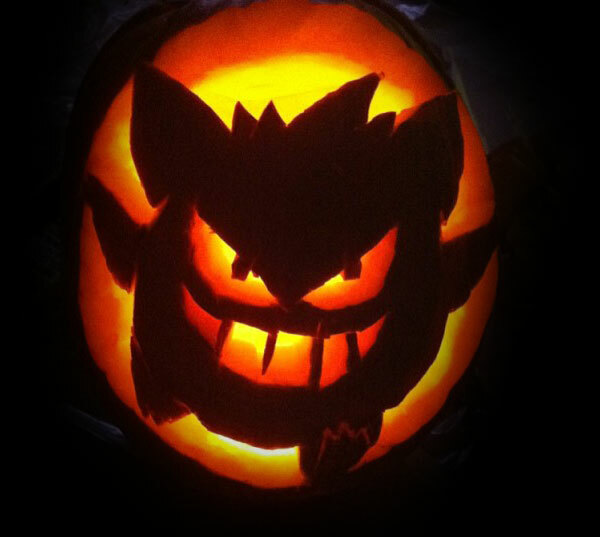 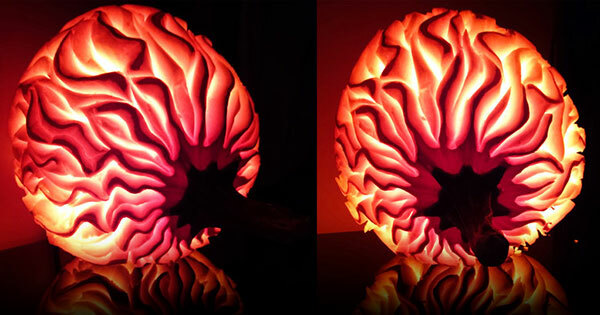 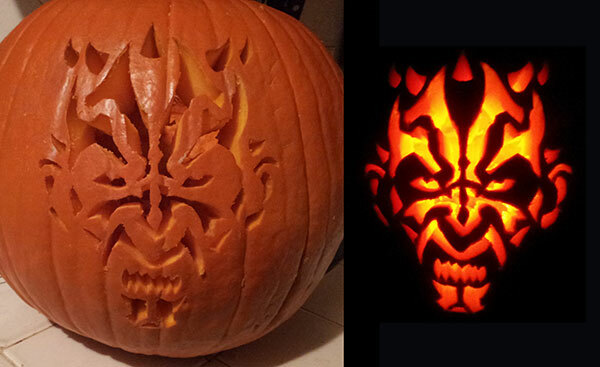 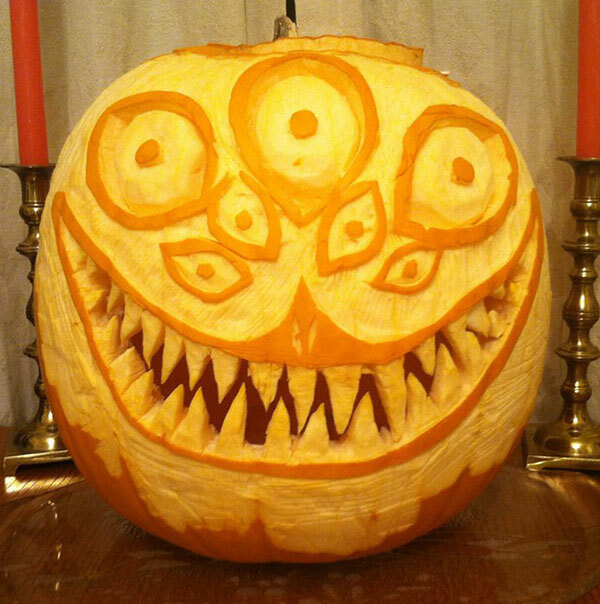 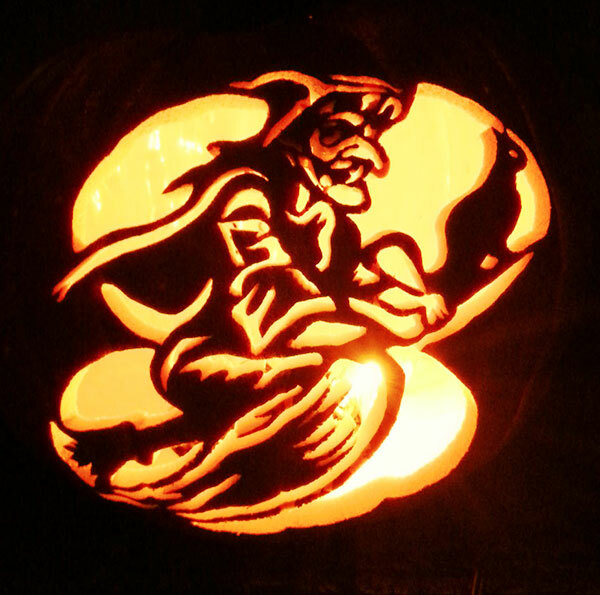 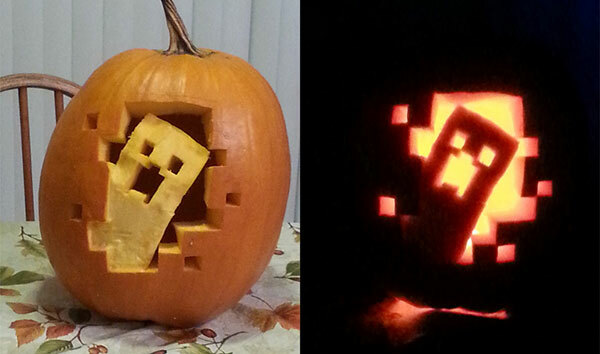 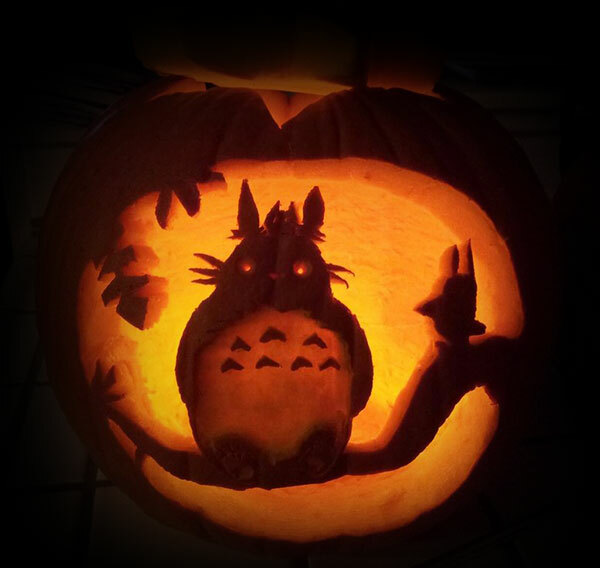 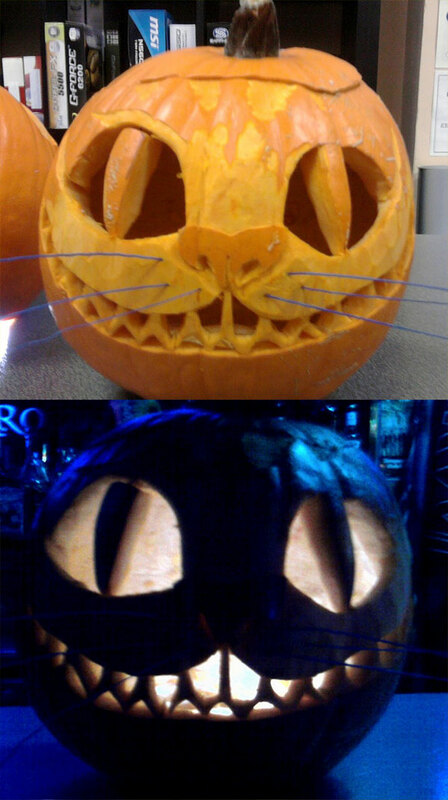 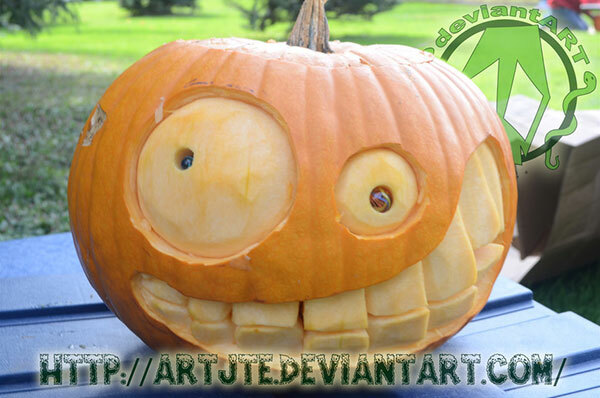 You can insert pale lamplight or blinking light in the interior of carved pumpkins to make it more horrible. 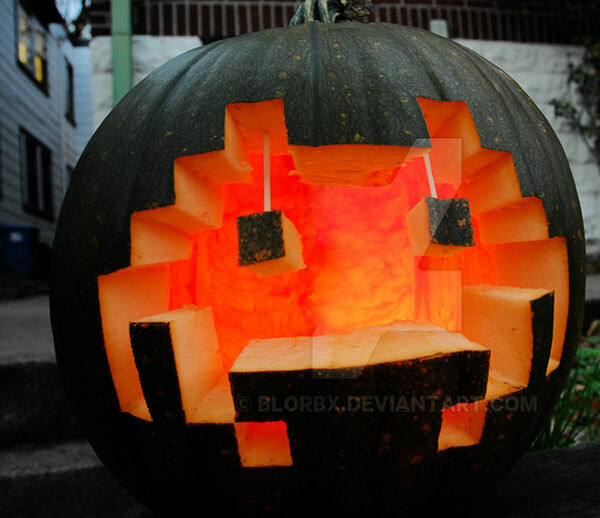 Place them right under the beds, in the doorway or hang them along the trees. 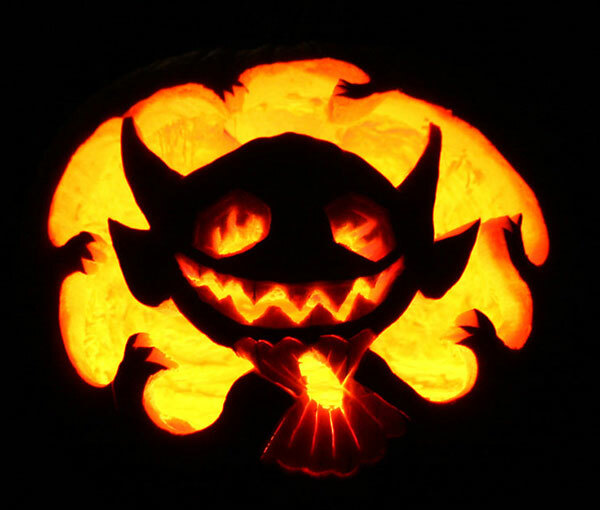 Boo the world but remember this event is celebrated only for the sake of fun, so stay safe and don’t harm your fellow creatures.